Photograph: Ben Zelevansky Paul F. Tompkins as H.G. 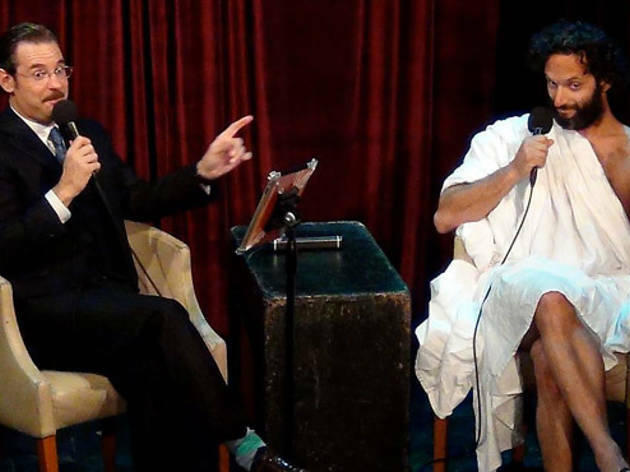 Wells and Jason Mantzoukas as Plato. The time-traveling spirit of H.G. Wells (Paul F. Tompkins) hosts this monthly show, presented, appropriately, by the Echo Park Time Travel Mart, where dead authors come to life once more on stage at the UCB Theatre.